This chapter provides empirical data on regions and case-study countries at different stages of demographic and age-structural transition. It covers both the longer term, out several decades, and the shorter period to 2015 spanned by the United Nations Millennium Development Goals. The policy implications of age-structural transitions are discussed and their interrelations with other population transition models identified. In Age-Structural Transitions: Challenges for Development, Edited by Ian Pool, Laura R. WONG and Éric Vilquin, Paris 2006, PP. 3-19. The Asian Demographic Research Institute will host the 4th Asian Population Association (APA) in Shanghai, China, at Shanghai University from 11 July to 14 July 2018. The Asian Population Association Conference has strongly become a major international event drawing over 1,600 participants from over 50 countries around the globe. The Conference is held every three years, providing opportunities for experts and students to share and discuss their scientific study of population issues. The key topics of interest shared by our members and participants include but not limited to the followings; Fertility, Reproductive Health, Mortality, Child Health, Migration, Refugees, Population Ageing, Labour force and Employment, Population and Education, Poverty, Population and Development, Gender Issues and Techniques of Demographic Analysis. The language of the 2018 Conference will be English. English to Chinese translation service will be offered at the opening sessions and keynote speakers. The Call for papers has been added to APA Website and disseminated through many institutes around the globe. The online submission system will be activated on 1 June 2017 and the submission deadline is 30 September 2017. Sexual behaviour in human societies is embedded in a complex web of shared ideas. Moral rules and regulations, obvious associations and obscured symbols are part of the complex behaviour patterns. Sexual behaviour varies from one culture to another, from one stage of development to another as well as from one period of history to another. Many factors including biological, social, political, educational, economic and religious affect sexual behaviour. This study was undertaken to assess women’s knowledge of modern contraception, examine the role of culture in contraception use and find out the relationship between background characteristics and contraception use. The results of this study indicate that knowledge of contraception is relatively low in both rural and urban centres of the study area. Given the importance of family planning to the reduction of growing population, it is crucial to embark on an aggressive education and enlightenment of the people on the need to use contraception in order to prevent unwanted, unintended and ill-timed pregnancies. The media should be effectively harnessed to take its rightful position in the dissemination of information to the people. African Population Studies, 2013, 27(2): 155-163, DOI: http://dx.doi.org/10.11564/27-2-437. Click here to get the paper. Migration is one of the important demographic processes that accompanied with significant changes in individual and social levels. Due to large-scale of international migration and increasing role of migration in shaping the population dynamics, the integration of immigrants and its economic, social, cultural, political and demographic consequences has been considered by policy makers and academies. 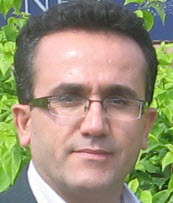 Using secondary analysis of micro- census data 2006 and 2011, the aim of this study is to explore fertility differentials of Iraqi immigrant women compared with their Iranian counterparts. The results indicated changes in Iraqi immigrant's fertility in Iran. Although, Iraqi immigrant’s women still have a higher fertility levels compared with the Iranian women, they have a lower fertility levels than their counterparts in Iraq. The path of these changes is toward more similarity and convergence with the destination society. The fertility differentials with controlling for socio-economic characteristics have 50 percent reduced. Thus, part of the fertility differentials of Iraqi immigrant women compared with their Iranian counterparts returns to different socio-economic status of them and another part of this differentials may returns to distinct history, customs and socio-cultural values of both countries. Journal of Population Association of Iran, 2018, 11(22): 119-148. Click here to get the paper.